While wood decks look beautiful, they can fall prey to insects, weather, and accidents. Cedar or pine decks also require staining and sanding. Customers who don’t have the time or the money to spend on wood decks can still enjoy a custom deck made of composite materials. Here at Architectural Landscape Design (ALD), we offer Trex composite solutions for custom decks. 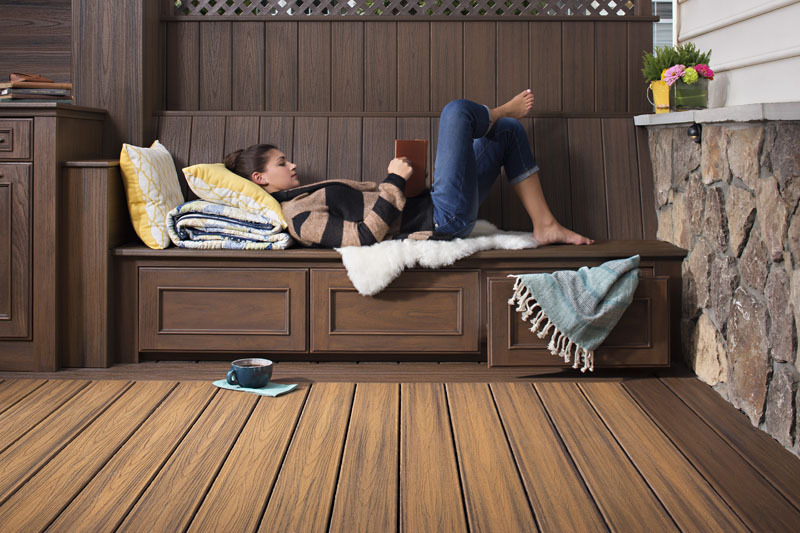 Available in 18 different colors, Trex decking provides a maintenance-free alternative to wood decks. With three Trex varieties to choose from, (Select, Enhance, Transcend), and seven composite railing colors, we can help you create a personalized deck or porch. Trex deck designs come in three basic “shapes,” and we can always accommodate your ideas during planning and installation to give you the results you want. The rectangle deck design seats eight people and offers ample space for barbecues and outdoor entertaining. Available in readymade sizes 12×12, 12×14, 12×16, 12×18 and 12×20, Trex rectangle decks give you enough room for outdoor furniture and a grill. This plan gives you the option of using one section of your deck for cooking and eating; another for watching TV or reading without any overlap. The Overlook design provides homeowners with gardens or mountain views the chance to get a more relaxing look at nature. 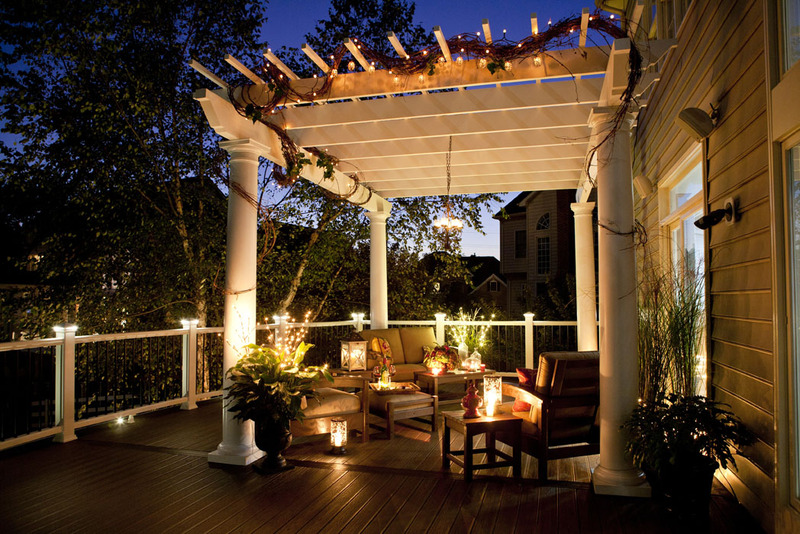 Add Trex outdoor lighting to increase night time safety and heighten the deck’s appeal. The 308-square foot Overlook Design seats eight people. Arrange this 304-square foot deck for multiple uses or as one large sitting area. It has rounded corners to expand the view and design possibilities. This design seats ten people and lets you add more lounge chairs or outdoor furniture than other designs. 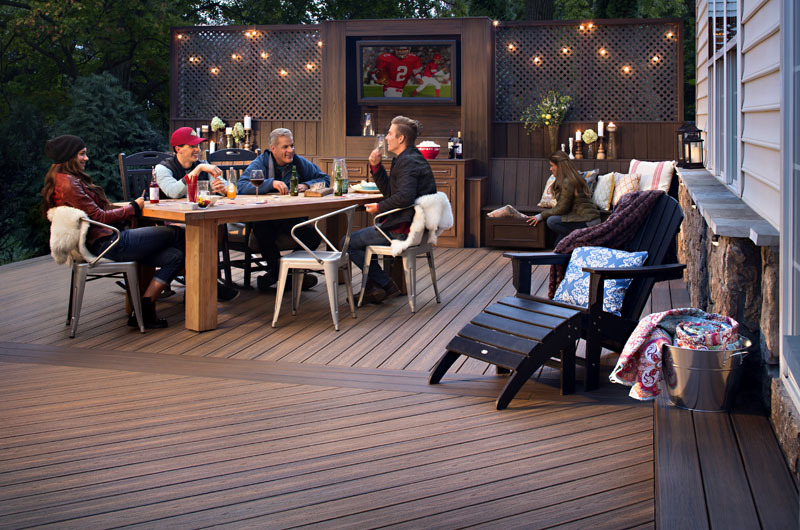 One side of the deck measures 16-feet long, giving you enough space for a bar or wide-screen TV and viewing area. 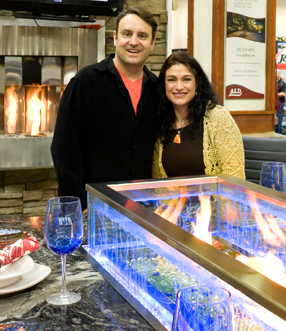 Our designers can build a deck with a room underneath and include electronic screens and other features. Your deck can be curved, circular, rectangular, or multi-level. Let us know what you want, and we’ll work with you to make it a reality. We can even install metal framing to give your structure even more staying power. Porches made from environmentally-friendly composite material resist wear and tear and inclement weather better than wood. Ask us about country porches and railings with colonial balusters, sunrooms and screened sleep-in porches. You may also want to consider Azek, another manufacturer of composite decks, for low-maintenance PVC porch, decking and railing materials. Ask us about these products if you want to do some comparison shopping before you settle on a composite brand for your custom deck. Turn a “blah” front or backyard into a refuge for entertaining or relaxation with a Trex custom deck, porch or pergola. Add value to your property while making it more comfortable. Arrange a free consultation with one of our reps by filling out our contact form or calling us at 952-242-9368. We design and install residential and commercial decks.